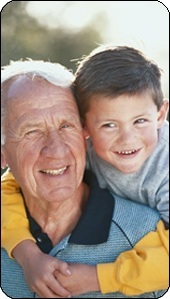 According to Guo et al (1) "understanding the scope of the age-related changes in body composition and the factors associated with them in healthy adults will help to improve our knowledge and understanding of these processes and assist in the prevention of functional limitations and in the management of health status into old age." A condition often found in the elderly is protein-energy malnutrition (2). Early detection combined with nutritional support can prevent or significantly improve chronic conditions associated with age-related malnutrition. A key element of nutritional assessment is the monitoring of body composition. Bioimpedance analysis (BIA) has been found to be a useful method for estimating body composition in the elderly (3,4,5). 1Guo SS, et al. Aging, body composition, and lifestyle: the Fels Longitudinal Study. American Journal of Clinical Nutrition, 1999; 70: 405-11. 2Omran ML, Morley JE. Assessment of protein energy malnutrition in older persons, part I: History, examination, body composition, and screening tools. Nutrition, 2000 Jan;16(1):50-63. 3Berger VA, et al. Reproducibility of body composition and body water spaces measurements in healthy elderly individuals. The Journal of Nutrition, Health & Aging, 2000;4(4):24305. 4Hughes VA, Evans WJ. Assessment of fat-free mass in an older population using bioelectrical impedance. Federation Proceedings, 46(4), 1987. 5Roubenoff R, et al. Nutrition assessment in long-term care facilities. Nutrition Review, 1996 Jan;54(1 Pt 2):S40-2.